﻿ Bethlehem Cave and Nativity Museum - Ohio. Find It Here. 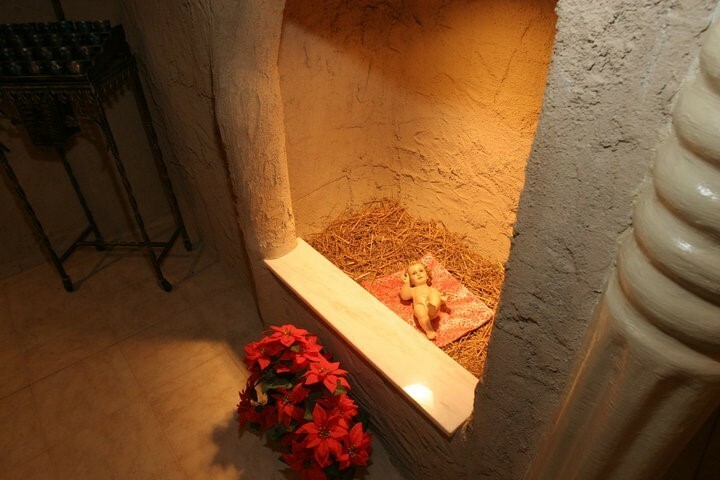 The Bethlehem Cave, located in Nativity of the Lord Jesus Church, is a replica of the cave where Jesus was born as it appears today in the Church of the Nativity in Bethlehem. It serves as a chapel and a place for pilgrimage. It includes the Altar of the Nativity, the Altar of the Magi and the Manger of the Infant Jesus. The Nativity Museum displays a collection of hundreds of Nativity scenes from different countries. Additional church highlights include a 16th century church bell and stained glass windows depicting the Christmas gospels.